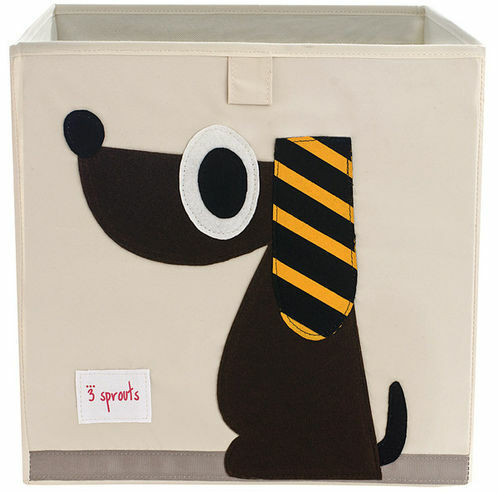 This toy storage box is made from heavy duty 100% cotton and has a felt applique Dog on the front. 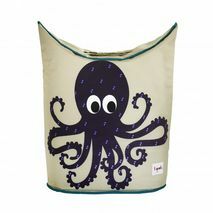 It is the right size to fit into IKEA's cubed storage shelves but can be easily folded down and stored away necessary. 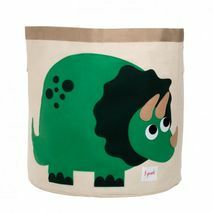 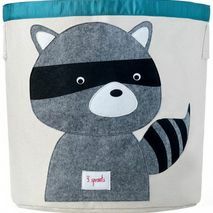 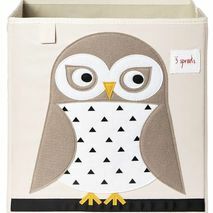 Great for a child's bedroom, nursery or living room toy storage.